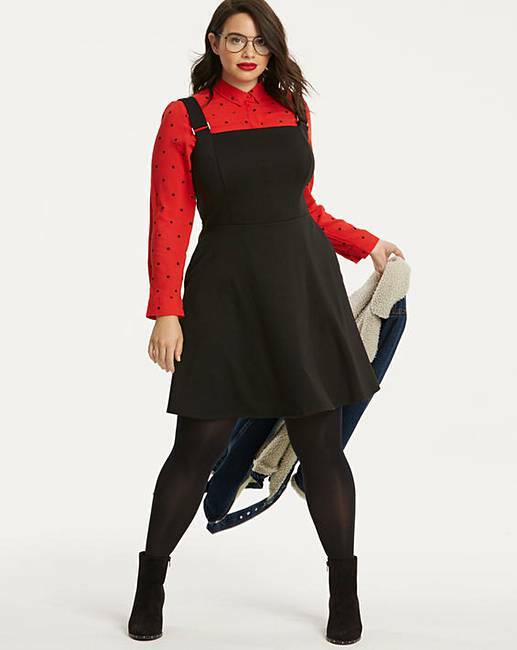 Black Ponte Pinafore Dress is rated 3.9 out of 5 by 46. 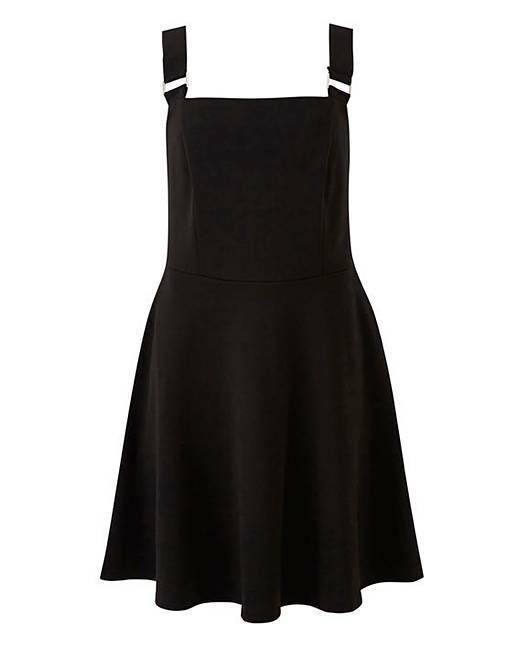 For an easy everyday look, this classic black pinafore dress is ideal. Featuring buckle detailing on the straps and in a skater style, layer over a printed shirt with tights and ankle boots for day, and switch up your style for night and pair with heels and a white blouse to work the monochrome trend. Rated 5 out of 5 by Bella from Buy this! Lovely very useful little outfit covers up the lumps not too short and great pockets too. As others have said slightly starting to bobble but had lots compliments. Rated 5 out of 5 by Susana da Costa from Great dress I brought last week and absolutely adore the dress. 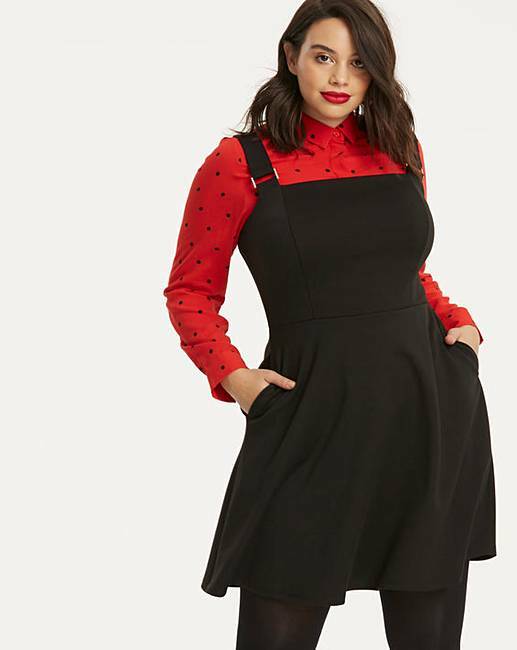 Rated 5 out of 5 by Soph25 from Amazing pinafore dress Really LOVE this pinafore dress, sizing was bang on and right amount of stretch in it. It compliments my shape beautifully. Rated 5 out of 5 by Loun from Lovely Dress I got this dress about week ago. I love it! It looks lovely on me. I love how it has pockets. 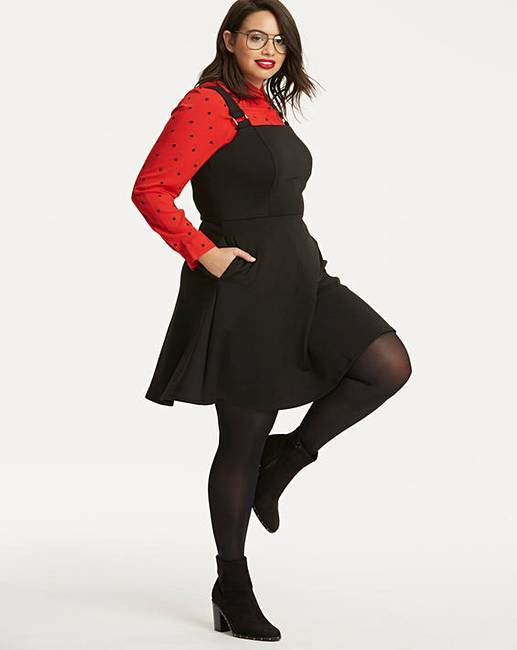 Rated 3 out of 5 by UKKiwi from Very flattering, but material bobbles Really happy with the look and fit of this pinafore. For the price I'm pleased with the purchase, however I do occasionally find that the straps slip down my (admittedly very rounded) shoulders and I wish they were adjustable. Also I've only worn it a handful of times, but the material is already beginning to bobble in some areas (noticeably the hips), which is fairly hidden on the black, but just keep this in mind - it won't look brand new for long.